Until recently, security teams for organizations in many industries believed they didn’t need to worry about DDoS attacks, but the latest data from the Verizon 2017 Data Breach Investigations Report indicates that businesses of all sizes in nearly every industry run the risk of being attacked. IoT devices are increasingly compromised, recruited into botnets, and offered up by their creators as for-hire DDoS services. 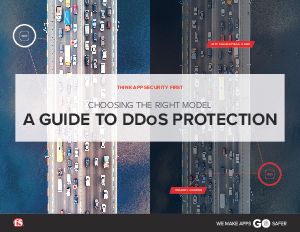 Additionally, there are numerous DDoS tools and services that are easily accessible and easy to use, even for the untechnical novice.